“Mommy, don’t throw that away,” I heard Daniel shouting after I had tossed a mango pit into the compost bin. “But I am not throwing it away,” I objected. “I put it into the compost like I’m supposed to.” I was trying to explain that I had done the correct, environmentally-friendly, thing. “Okay,” I agreed, mostly to stop him from bothering me. But the next day I still threw a mango pit into the compost bin. This time, after scolding me rigorously, he went through the compost — retrieving every form of pit or seed. “Why are you doing this?” I asked Daniel. The next morning I was cutting a papaya. Of course, I put the seeds into the compost bin. “Mommy, I TOLD YOU! !” Daniel was not amused. “Surely not these,” I argued. “You don’t want to plant these, do you? !” He insisted that he did. At that point I decided that as a responsible mother, I needed to give my 25-year-old son a good lecture. “You know, you can’t just take a seed and then — ‘voila‘ — it becomes a tree. It is not that easy. I mean, I know you want to do a good thing, but that will need a lot of work. You have to get it ready, then plant it, then wait, and even then it will probably never sprout.” I thought I was protecting my naive son from future disappointment. He had nothing to say. So it continued. I tried to get into the habit of keeping the seeds in the bowl. I complained when they started to get smelly, but Daniel would always collect them anyway and take them outside to the area where he had started a nursery. Soon after, we had a similar “go round” about used containers. Daniel wanted me to keep containers of every kind: old milk cartons, yoghurt cups, bread bags, honey jars — anything and everything. I grudgingly obliged. About three months later, Daniel beckoned me. “Mommy, come see.” To be honest, I had not ventured out to the nursery, and it was hidden behind some bushes, not easily noticeable. I could not believe my eyes: about 200 seedlings in assorted containers (yes, old milk cartons, yoghurt cups. . . . not a single one had been wasted)! Others were wrapped in stapled bags made from the used plastic that had been removed from our greenhouse due to wind damage. “These are avacado,” he explained. Those were the most impressive, standing almost 2 feet high. “These are mangoes, and these are papaya,” he continued. There were also jacaranda, cypress and other varieties planted from seeds he had taken from trees around our home. He had spent almost nothing, except his time, to nurture this impressive nursery. This is just a taste of the inspiration, vision, determination and entrepreneurship behind KIJANI: Forests for Change. 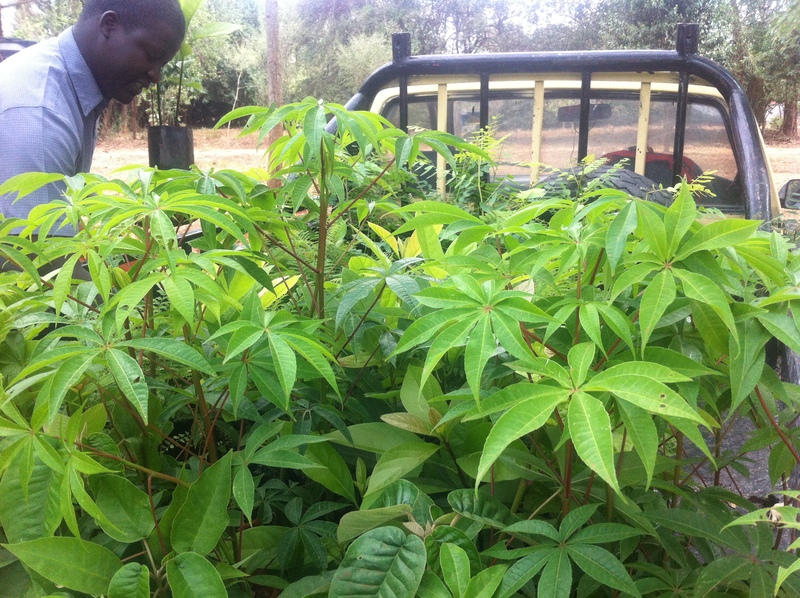 To date, Daniel’s little home-grown nursery has donated nearly 1000 seedlings to organizations and orphanages in Kenya, including Kenya Forest Working Group, Trees for Indigenous Health and Culture (TICAH), Children’s Garden and IDEAS for Kenya. Kijani has over 2000 seedlings at their Marmanet project site growing from these seeds. Planting continues.